This month, we discover what’s hot in the app world, why many consumers prefer digital ads to TV ads, and the key to memorable content. 65% of marketing executives said they are implementing personalised marketing strategies. Second to personalised marketing was online product information/services, which is used by 63% of respondents. Roughly one-third of internet users under 50 said they like personalised ads. However, almost as many said they weren’t good enough. The number one category was Communication and Social Media apps, which rose by 11.2bn minutes, equal to a 38% increase year-on-year. In March 2017, those apps represented 44% of UK users’ app time. Entertainment apps tallied the next biggest rise, up 3.4bn minutes, accounting for 21% of monthly app minutes. Meanwhile, Finance posted a 100% increase, up 586m minutes, and Health & Fitness leapt up by 156% (500m minutes). However, the third largest app category, games, dropped by 2.4 billion minutes (16%). A key difference between September 2016 and March 2017 was that in the earlier period, Pokémon Go was still at the height of its popularity. ComScore data from July 2016 shows it was one of the UK’s top 10 mobile app properties for that period, just behind Twitter. Pokémon Go’s popularity proved fleeting, but it may be too soon to count out games. 34% of digital video viewers said that the commercials shown during videos they stream to their TV are better than those on traditional linear TV. 44% said that commercials shown during videos they stream to their TV are less disruptive than those on regular TV. 50% prefer to watch commercials while streaming video to their TV than pay for a subscription. 58% are more likely to stream video to their TV because fewer commercials are shown than on regular TV. According to eMarketer, US digital video ad spending will see double-digit growth annually through 2020. By contrast, TV ad spending will grow much more modestly, at rates ranging from 2% to 2.5%. Still, TV will remain dominant, with total ad spending reaching $77.93 billion in 2020 – more than quadruple the $17.95 billion for digital video. Just 6% of US agencies thought their clients were fully ready for mobile adoption in terms of executive support and prioritisation. This compares to compared to 32% of other marketers’ assessment of their own readiness. Almost two thirds (65%) of client-side marketers do not have a formal mobile marketing strategy for their brand. Just 16% had a “closely connected strategy” in place. One reason may be that the vast majority of brands (80%) find mobile only a “quite” effective marketing channel, with few (12%) having extensive data and experience to conclude that it is “very” effective. Nonetheless, in line with its effectiveness as a channel, mobile is seen as a priority for more than 90% of marketers in North America – although only a third of them would say it is a top priority – and almost three quarters (73%) on the client-side expect their budgets to increase. In 2017, 35.6m Americans will use a voice-activated assistant device at least once a month. 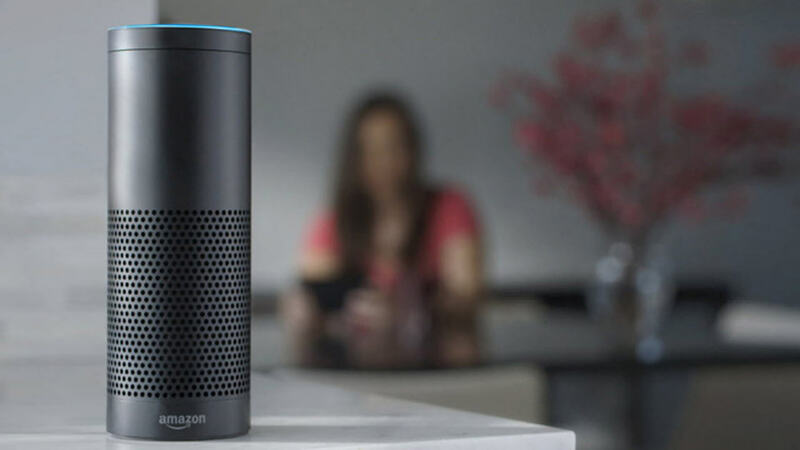 Amazon’s Echo speaker will have over 70% of users. Google Home trails far behind with just 24% of the market. In 2017, over 60m Americans will use Siri, Cortana or another virtual assistant at least once a month. Mobile ad expenditure has grown rapidly over the last five years, rising at a compound annual rate of 65%. Such growth propelled the value of the mobile ad market to a new high of £3.9bn in 2016. Mobile has contributed an average 77% towards total growth in UK advertising expenditure over the last five years. It’s believed that mobile ad expenditure will rise by approximately 30% this year and a further 21% in 2018. Do consumers remember content marketing? The three most common reasons consumers forget content are irrelevancy (55%), a lack of motivation to remember it (35.7%), and the fact that there is simply too much content to retain (30%). Distractions (18%) and stress (9%) were far less significant factors, it noted, meaning that the primary reasons for forgetting relate not to external factors but to the content itself. Content which ‘tells the audience something new’ was the most memorable, helping 27% of respondents to remember a brand. This was followed by content which teaches, inspires or entertains (each 25%). In terms of how content is delivered, video was seen as the best format, chosen by 37% of respondents as memorable, followed by written articles (28%), and face-to-face presentations (21%). Just 6% of respondents liked seeing ads from a previously viewed website show up on subsequent sites. The largest share of respondents (32%) said they “hate” the practice. Around two-thirds of respondents would be unhappy to see targeted advertising based on either their online behaviour or on data they had given an advertiser. Ultimately, 68% of respondents would not be more likely to buy an advertised product because of personalised advertising.